The poems in Crone’s Wines often unlock the memories at the fringes of consciousness, making them come alive, or reflect on the mysterious and unspoken, casting them into the realm of the familiar. With a mix of formal and free-verse poems, Crone’s Wines is wide-ranging in style and scope: its many preoccupations include solitude, nature, family, love, even the lightheartedness of cat poems, and aging and death—as befits the “late poems” subtitle, informed by the poet’s age. There is a sense of the spiritual and meditative in the universal poems, and a fierce openness in the poems of personal relationship, often intimate in their recollections. This a rewarding collection with a lifetime of memories and experience, delivered with wit and wisdom. Margaret Rockwell Finch’s moving lyrics are passionate and lightly elegiac by turns. They speak unabashedly about desire and the human heart, but without the taints of sensationalism or sentimentality. Speak, however, is not the right word; given the delicately turned musicality of these poems, the mot juste must be sing. Haunted, burnished passion echoes through these deft and beautifully alert lyrics. 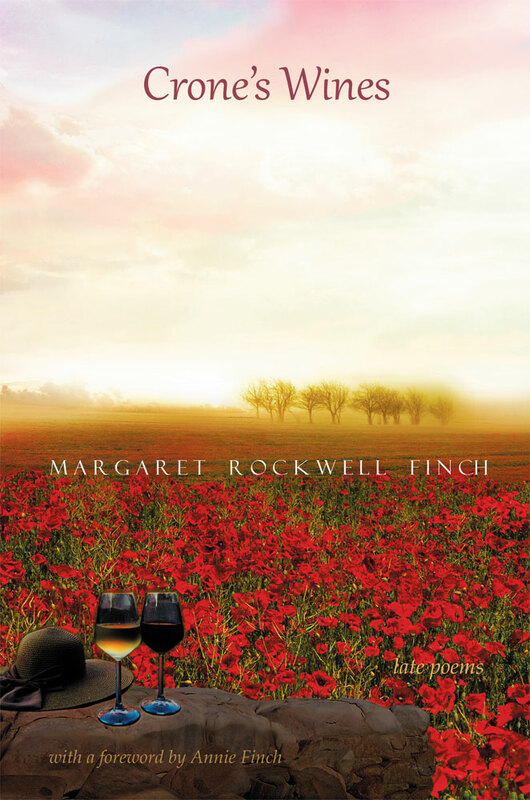 Margaret Rockwell Finch uses poetry’s traditional means to ends that are purely her own. From time’s quarrels, she has fashioned poems that resonate with poetry’s timelessness. 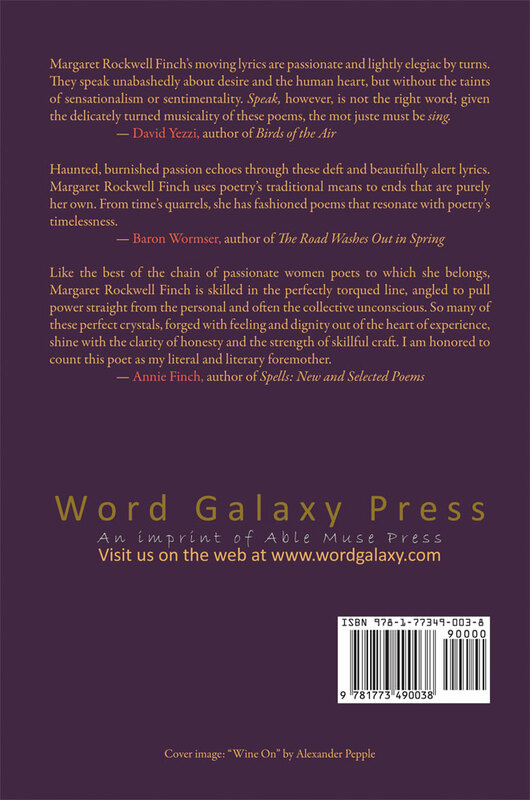 Like the best of the chain of passionate women poets to which she belongs, Margaret Rockwell Finch is skilled in the perfectly torqued line, angled to pull power straight from the personal and often the collective unconscious. So many of these perfect crystals, forged with feeling and dignity out of the heart of experience, shine with the clarity of honesty and the strength of skillful craft. I am honored to count this poet as my literal and literary foremother. Maggie Finch was born Margaret Rockwell on April 20, 1921. Her poems have appeared in publications such as The Christian Science Monitor, Saturday Review, and Sequoia, and her three previous books of poems are Davy’s Lake, The Barefoot Goose, and Sonnets from Seventy-Five Years. She has served as president of the National Institute of American Doll Artists and copresident of the Maine Poets Society.